More than half the graduates not getting employed: what are the challenges? Over the last five years, we have read or seen enough stories of engineering graduates driving Ola cabs or even rickshaws for a living. Unfortunately that fear has not abated. College students all across the country are biting their nails over the uncertainty of employment, post graduation. While some think the situation is terrible, others believe it could be worse. A Centre for Monitoring Indian Economy (CMIE) report shows national unemployment reaching an all time high of 7.1% in the first quarter of 2018 – courtesy slowing global economy, domestic policy shake-ups and under-trained youth. With this, the issue of employability among those seeking higher paying jobs in both Multinational Companies and start-ups has taken centre stage in the policy debate. “It is no longer about the degree, or technical know-how… it has more to do with workplace readiness”, adds Shivangi Bhairav, an engineering undergraduate. Unfortunately, a deeper exploration of the issue reveals a lot more problems and failures in a lot more places where quick and lasting reform is required to solve the issue. Employability is defined as the overall “attractiveness” of hiring an aspirant based on his/her domain knowledge, cognitive skills, analytical ability, lateral thinking and the ability to adapt to a rapidly changing work environment. 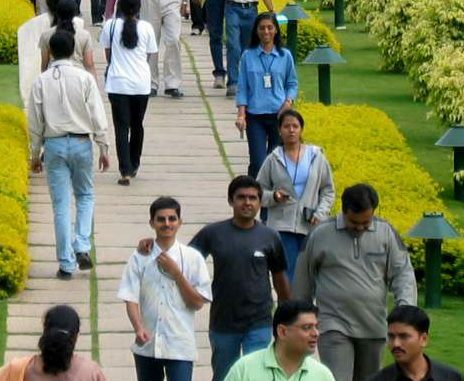 Indian students have always faced an issue with placement rates following their Post-Graduate degrees; the average placement rates for graduates across the country according to the United Nations Development Program (UNDP), was around 45.6% for 2017-18. The largest recruiters for the past year, (according to an Economic Times Survey) have been technology companies and consulting firms (and a few financial/banking institutions as well), eg. Amazon, Cognizant, Ernst and Young, KPMG, ICICI Bank etc. These companies focus on hiring engineering and management graduates, both of which have had poor placement records and have serious issues with employability. Unfortunately Bengaluru has a poor employment outlook and currently has experienced a fall in employment by 2 percentage points from 2017-18. The manufacturing and the services sectors (the largest traditional employers) have seen a drop by an average of 2.5 percentage points from 2017-18, and salary packages have either shrunk or stagnated. Bengaluru is one of the few well-off tier 1 cities, along with Delhi and Mumbai. The city has shown an average employability ratio – i.e. the number of people employable among graduates – of 24.02% in IT roles, 12.62% in Engineering roles and finally 27.37% in non-tech roles. Since these are averages across functional areas, they may seem daunting; but each city has excelled in certain areas. For example Bangalore has heightened recruitment in ITeS and BPO operations, but even these numbers are limited to 42-45%. 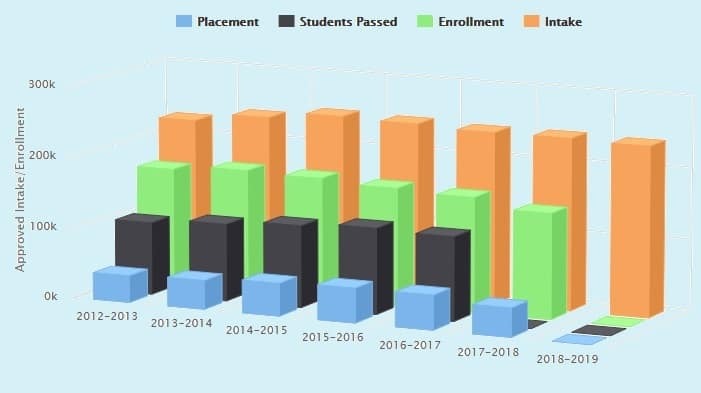 An overview offered by the AICTE’s online data dashboard shows that Karnataka’s combined 600+ Engineering and Management institutions have produced an average placement rate of 30% (at best) between 2012-17, while 277 post-graduate institutions have produced an average placement rate of 40% for the same. While students from India’s top B-schools and engineering institutions enjoy much higher placement rates and are assumed to be of a finer caliber, problems with employability are more common in tier-2 and tier-3 institutions where placement rates hover around 30%. Compared to this, the IITs, IIMs, Lady Shri Rams and more, offer placement rates in the 60-90% ranges and salary packages are also larger. At the regional level, there is one issue – the failure of educational institutions, the quality and contents of the course and finally how the syllabus is imparted to the graduate. 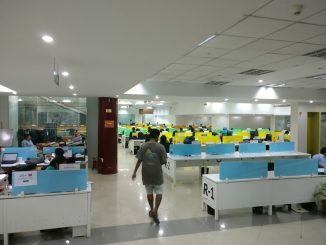 An HR associate (who does not wish to be named), with 16 years of experience in Bengaluru- whose main focus has been the recruitment of Computer Science graduates particularly – claims: “The schooling culture of memorising and just focusing on marks has filtered into our higher institutions… that means out of every five candidates we look at, none have programing experience, technical knowledge etc. even though they are applying for such a job”. Another issue with employability is the reimagining of how businesses are run, along with a shift to a digital platform. This has spurred certain tangible changes to business functions, in the customer and finally influences what skills graduates require once they pass out. The changes in the entertainment industry, FMCG market, healthcare and financial sectors have created a new norm; one that deviates from the conventionally required domain knowledge and textbookish learning. Another controversial topic within the umbrella of employment is the development and adoption of AI in day-to-day business practices. Most theorists are singing the same chorus – with the introduction of AI, there may be a redundancy in entry level to mid-level jobs, but at the same time it allows the creation of other highly-skilled, technical management jobs. But the jump from current levels of technical and non-technical skills/knowledge to the ones forecasted is huge, making AI a double edged sword. NASSCOM (National Association of Software & Services Companies) in its 2018 report, “The Future of Me: Reimagining Global Capability Centres” has outlined a short rubric, reflective of the millennial outlook and the modern economy – VUCA (Volatility, Uncertainty, Complexity and Ambiguity). What this entails is that each candidate must bring with him/her “learnability”, diversity of thought, inclusivity in behaviour, comprehension of design and flexibility. This acts as both a boon and a bane. For the institutions and students hoping to secure placements, this gives time to catch up in terms of syllabi, training and self-growth. But simultaneously it also limits employment opportunities, for the large number of graduates attempting to enter the market. Following the trail of problem areas, is another – the issue of “corporate willingness”. It would be unfair to demand of the inexperienced graduate certain prerequisites such as office-readiness and on-the-ground technical knowhow; as such the onus of training and preparation must fall upon those within the industry and the government. The seriousness of the issue has definitely been noted by the government 2015 saw the creation of a separate and new ministry – the Ministry of Skills Development and Entrepreneurship. But the execution and mission of the ministry has been poor and poorly defined. In fact there are 17 different ministries that overlook their respective areas, but have close to zeo coordination among them. There are schemes like Pradhan Mantri Kaushal Vikas Yojana and the Deen Dayal Upadhyaya Gram Kaushal Yojana. The task of skilling our graduates is different from those who require vocational training, but the importance is just the same. The reason for this lack of training and skill development is not only limited to the financial capabilities of the firms, but also in the attitudes of the hirees: attrition rates are high, millennials no longer wish to work in the same job for too long. In some cases, monthly turnover rates are close to 20% of the employed workforce; this then ends up being a hard sell to the firm itself. Barring issues of infrastructure and monies, both easily solvable problems areas, the focus on “repairing” and improving the student population – their skills, attitudes and aspirations – is key. The economic growth of the last decade had put in motion an academic/collegiate boom. 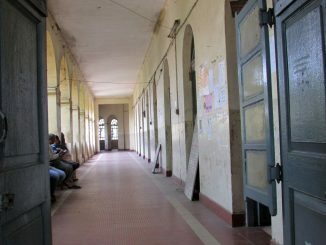 The uncontrolled growth in the number of higher institutions, and seats at these institutions, have made monitoring much harder for India’s HR and Academic monitors. This makes it difficult to ensure quality among faculty and infrastructure, and focus on the details of courses on offer. This increase in the capacity of seats brought with it unfiltered admissions of sub-par students and the hire of untrained faculty; eventually leading to the “undeserved” mass handout of engineering and management degrees. Along with this, the ingrained academic culture of rote learning and non-application based curriculum ensured that students passing out, were devoid of any all-round skills such as foreign languages, workplace manners, lateral thinking, adaptability, and analytical ability. The AICTE chairman Prof. Sahasrabudhe in an interview with Times of India listed out various issues, and also brought to light the steps taken by the board to mitigate them – teacher training, induction programs, progressive closure of underperforming or underutilised colleges, internship awareness and compulsion, industry-institute tie ups, obligatory training programs, workshops that demand innovation over derivation, emphasis on foreign language education and startup incubators within these institutions; essentially the all-round development of students, preparing them to work in an environment that meets international standards. According to this theory, things could change for the better in the upcoming years, as employment outlooks across most research papers and reports – by both public and private HR institutions are positive, and a United Nations Development Program (UNDP) report claims that employment in 2018 is set to grow at 10-15%. If the issue of employability is mitigated it will increase the employment numbers too. The issue is complicated, and will be explored for management stream, further in the next part of the article. Majority of graduates not getting placed: what are the challenges? How do corporates see and treat the problems in employability? Siddharth Nair is a student of Political Science at Ashoka University, who interned with Citizen Matters. With changed world, easy availability of information and non-skilled human resources, Employment Exchanges have a greater void to fill, in skill development, not directly in providing jobs. The emergence of private organisations that offer skilling solutions is a perfect marker for the rising problem of unemployability among fresh IT graduates. What other solutions exist to the skill gaps clouding the job-worthiness of the new workforce in IT? This guide will help you figure out how anyone can benefit from employment exchanges. Excellent piece. Aren’t the ‘seats’ in colleges coming down steadily? I’m thinking the correction is happening but we may not see it yet. I think we have a meaningless education system. Remove all the history, and substitute with simple concepts of business with identifying customer needs, conducting a simple survey and drawing conclusions, concepts on value addition, and looking at quality with metrics in every activity, measuring and improving quality. I have seen factory workers easily adapt to TQM principles in industrial organizations, so these should be acceptable to teach at school final level. We have unemployment on one side and such a severe shortage of workers with customer orientation, and a sense of quality. India has failed to provide 2% employment with fixed salaries in the last 75 years. The total number of employees in all India private and all forms of government employment is close to 2 Crore people in 130 Crore population. This is not mere failure, this is inhuman and first order tyranny from all the successive governments which have governed India. When we look from the students perspective, 99% cannot write a sentence on why the company has to hire them, if forced to write they would come with comic sentences and if we ask them to read it, half of them would tell that they don’t need the job and the other half would take other excuse. First, the job aspirant has to get convinced on himself/herself on his/her strengths and know exactly how and why he/she is applying for a job opening and what is that one special thing they can bring to the company which would help. Until, they cannot make up this sentence, it is a case of luck on productivity with these candidates to the companies.